Beth Duff Designs Creative Team call. This cute bear and the super cute back ground! I printed the bear and colored it with copic markers and used a Scan-n-Cut to cut it out. I added the little smile to him with a Pigma Micron pen. On the background I used a masking fluid to cover all the images and then used Mission gild water colors to get the ombre look. I die cut a scalloped circle and white heat embossed the sentiment. 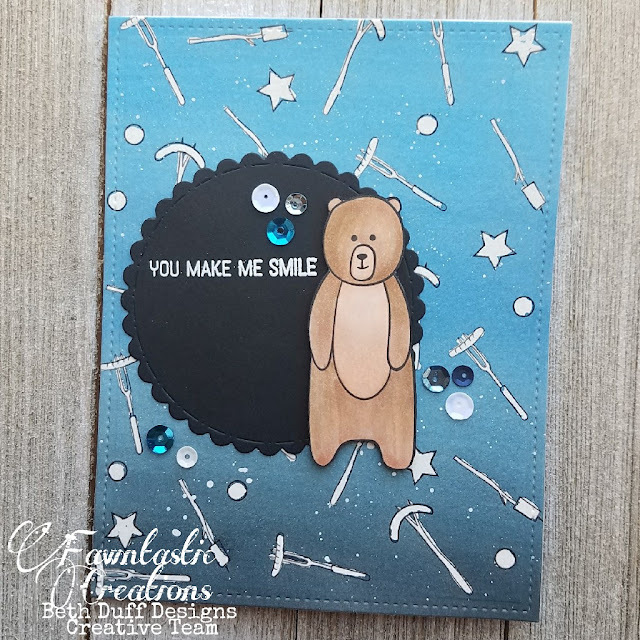 I layered it under my bear on the card front and then added some sequins to finish off the card. Beth Duff Designs very first Release Week! 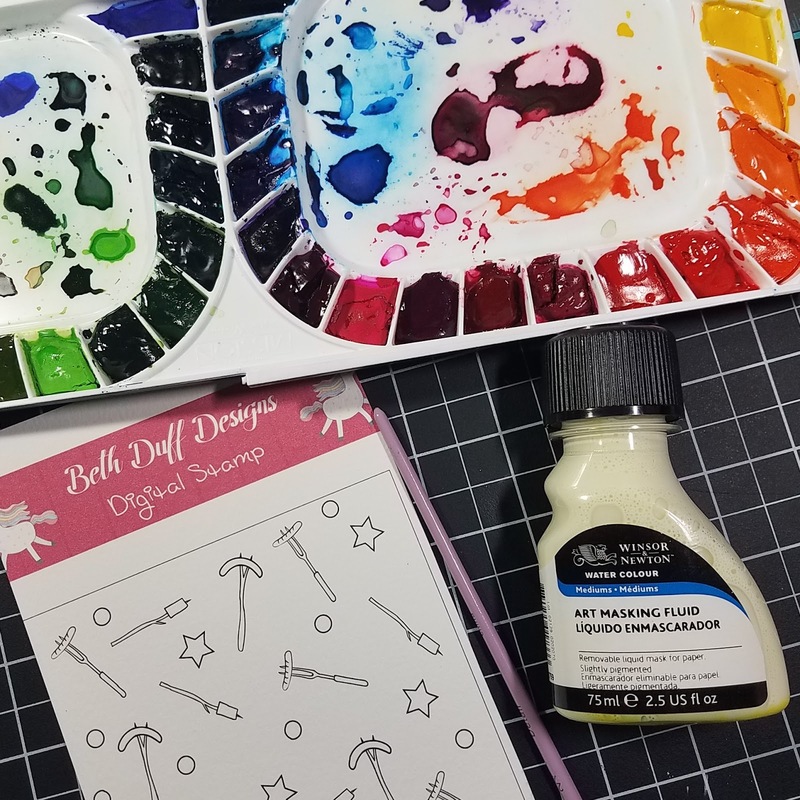 Join the Beth Duff Designs Facebook Fan Club to stay up to date on release information and to see sneak peeks of the sets! They are super cute, you are not going to want to miss them!